Derek’s litigation practice at Carlson Caspers emphasizes efficient litigation management, successful dispositive motion practice and appellate work, and sound litigation counseling. Over the last 20 years, Derek has worked on a wide variety of litigation matters, including disputes concerning patents, trademarks, trade secrets and design patents. In district courts, Derek has taken a lead role on many claim construction and other dispositive motions, and has successfully served as lead counsel at trial. Derek has also briefed and successfully argued a considerable number of appeals at the U.S. Court of Appeals for the Federal Circuit and at the U.S. Patent and Trademark Office, and has served as head counsel in a variety of Inter Partes reviews at the USPTO involving different technologies. Derek has been recognized as a SuperLawyer® by the Minnesota Journal of Law & Politics every year since 2005. 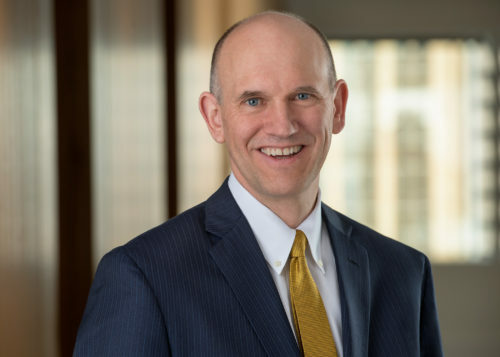 In that same publication, Derek was named as one of Minnesota’s Top 40 IP Lawyers in 2009 and as one of Minnesota’s Top 100 Lawyers for the years 2010-2104 and 2016. Derek is also named in Best Lawyers® in America. At the beginning of his career, Derek worked extensively in the area of patent prosecution and later clerked for the Honorable Giles S. Rich of the U.S. Court of Appeals for the Federal Circuit. He has taught intellectual property moot court at the University of Minnesota and patent litigation at William Mitchell School of Law.